When the owner of a restaurant also happens to be the president of a society for professionals in the wine industry (“Gallaecia”), you know you’re in for a treat. Xurxo Rivas is an expert in his field, seeing wine as ‘part of the food culture and hospitality of Galicia’. 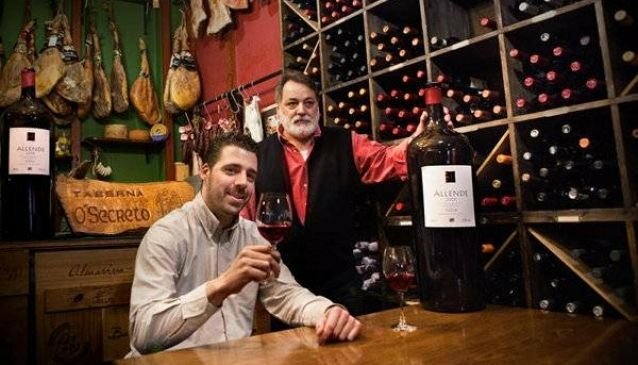 Anyone with a penchant for the finest glass of red should take time out to come and visit Taberna O’Secreto, found within the peninsula of La Coruna. Of course, the food isn’t half bad either. There is a tasty mix of seafood and tapas to accompany the wine, including croquettes, calamari, whitebait, marinated beef and more. What’s more, an eclectic mix of frequent patrons and travellers passing through gives O’Secreto a lively ‘international’ atmosphere, something which will probably become more evident as the wine starts flowing. Couples, friends and families will all find something to enjoy here. Food type: Seafood, Tapas, Galician. Opening times: Mon-Sat, Lunch Midday-3.30pm. Dinner, 7pm-Midnight. Payment info: Accepts Visa, Mastercard.